Toyota has been making some very good trucks for a very long time. As old Top Gear pointed out, the Hilux is pretty much indestructible. That mantra resonates throughout the lineup. Today, Toyota dropped some new truck goodies on us and hopefully we can get our hands on them soon. First, we’ll dispense with what Toyota is calling the Rav 4 Adventure, which will no doubt be the best seller out of the three variants announced today. 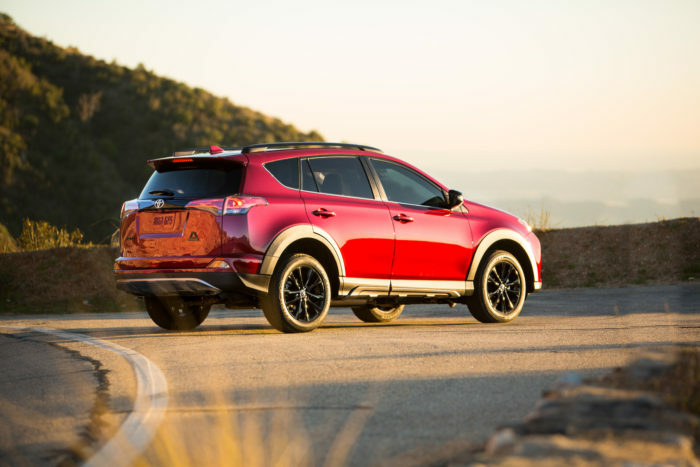 The Rav 4 is one of Toyota’s best selling models and this new package is described to be active lifestyle inspired. But it’s curious that an active lifestyle focused model only comes with front wheel drive and not all wheel drive. A few highlights are larger fender flares, 18″ wheels, all weather floor mats, lower body guard panels, and a feeling of adventure luxury with adventure badging all over the place. What we’re really interested in is the Tundra/Sequoia combo that now gets the TRD Sport packages. The already badass trucks get some good upgrades. This all comes as part of the overall 2018 refresh for the Tundra. The SUV version of the Tundra get slightly different goodies. So. Hey. Toyota. Toss us the keys and let’s go offroading, eh? Come on, what’s the worst that could happen? Next article Jeremy Clarkson Thinks Americans Can Fix F1… Wait What?? ?